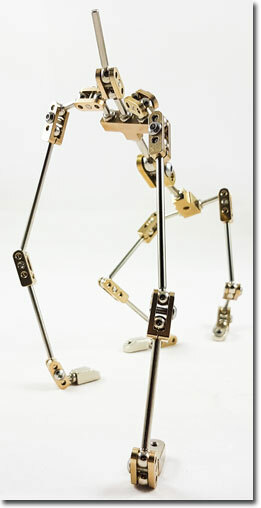 Stop Motion Animation Armature manufacture and design for Professionals, Students and Home Animators | Malvern Armatures. 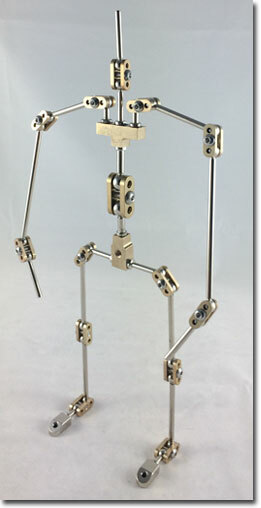 All Armatures come fully assembled complete with: Brass Shoulder & Hip Blocks; Nickel Plated Solid Steel Limbs; Integrated 9mm & 6mm Ball Joints; Standard & Hinge Brass Link Plate Assemblies; Nickel Plated Steel Feet; Magnetic & M3 Tie Down; Hip Block Rigging; Allen Key; 75mm Rigging Stud Assembly, 50mm Tie Down Assemblies and 12mm Tie Down Screws. 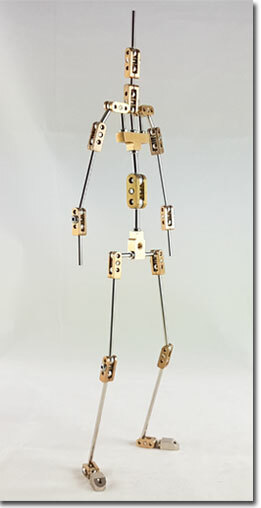 If you are thinking of Building Your Own (BYO) Armature please take a look at the BYO Component Assembly Page giving full dimensions of the major components and assemblies. 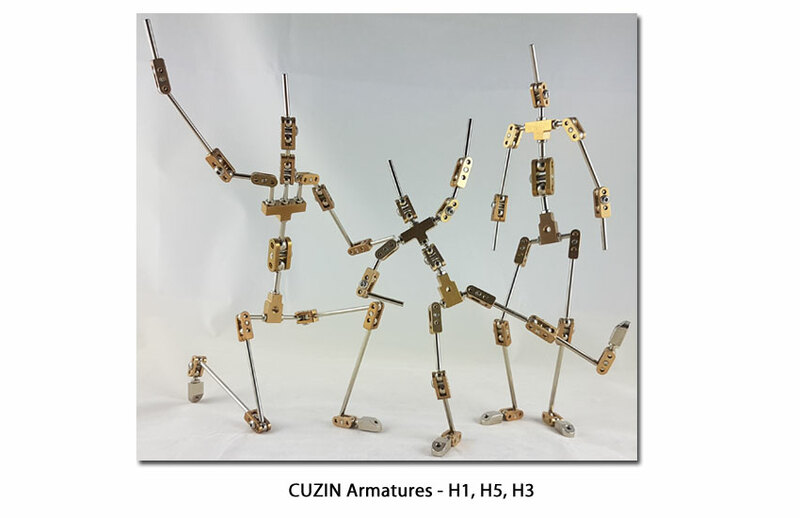 CUZIN X & Y Human Armatures added. M4/M3 Broad Brass Shoulder Block added to Parts List (Drg No MA-168, Parts List Item 76). 9mm Ball/M4 Thread nickel plated steel extension added to Parts List (Drg No MA-169, Parts List Item 77). 21.5 x 6mm nickel plated steel Stud End added to Parts List (Drg No MA-199, Parts List Item 75). 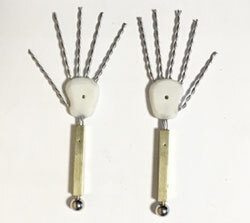 50mm and 55mm Double Ball End connectors added to component range. Build Your Own (BYO) Link Added. All new CUZIN Range launched. 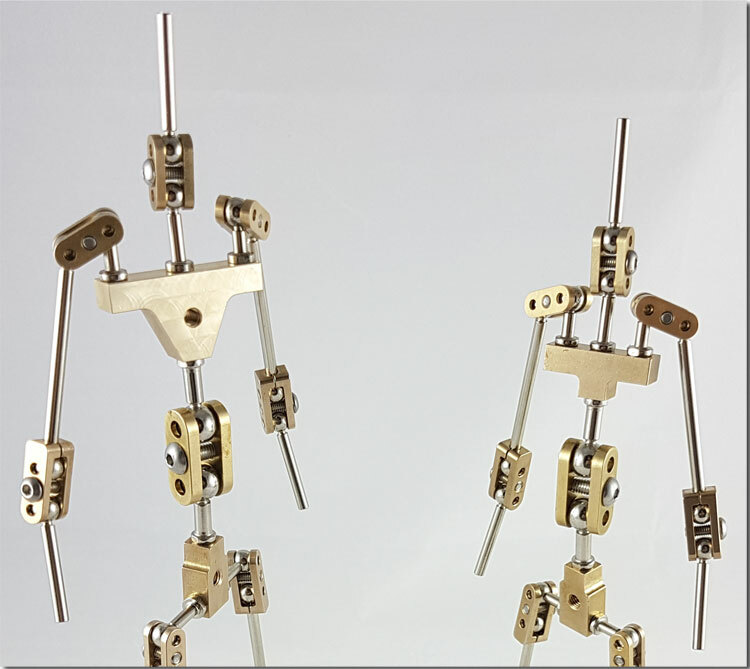 Our armatures come fully assembled and ready to go straight from the box and include an Allen Key(s) to adjust the tension of the joints, two M3x12mm tie down screws, two 50mm Standard Tie Down Assemblies and one 75mm Rigging Stud.